People often make fun of the 1970s: the clothes, the hair styles, the free love post-hippie generation immortalized in movies such as “Dazed and Confused”. I’m not saying they’re wrong. But, as with most things, the 70s were more nuanced than that. It was also the time of the Jesus Freaks and Jews for Jesus, for example. In the midst of all this cultural soul-searching, I was lucky enough to meet someone whose steady, centered and faithful worldview offered a restful presence. As if that weren’t enough good fortune, this incredible guy married my sister – and stuck around for good! Today is my brother-in-law, Dave’s, birthday. At 56, he remains a runner, a scientist, and a man of faith and solid good sense. Happy birthday to one relic of the 70s worth keeping! 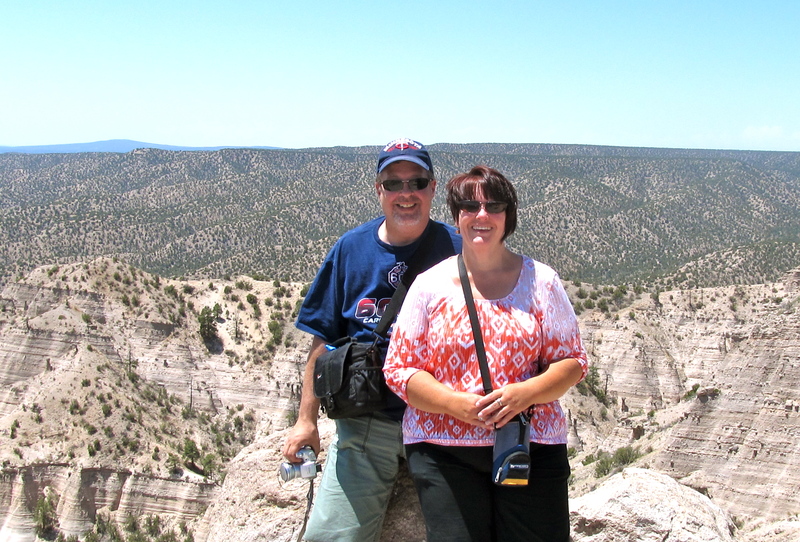 On our recent road trip to New Mexico, my family took Mike and I to Kasha-Katuwe, better known as Tent Rocks. 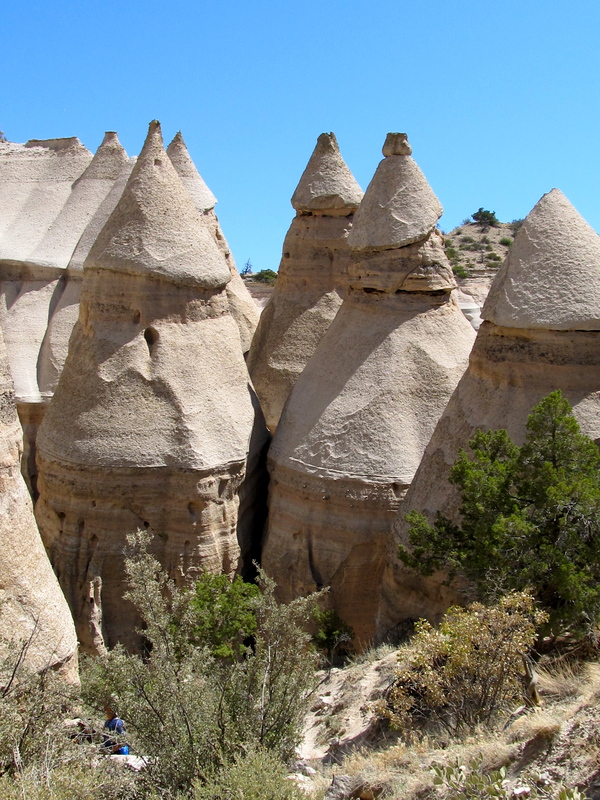 The unique landscape was originally formed by massive eruptions in the Jemez volcanic field, which “spewed pyroclasts (rock fragments), while searing hot gases blasted down slopes in an incandescent avalanche called a ‘pyroclastic flow’.” The resulting formations are spectacular. We climbed a little over 1100 feet (from an altitude of 5570 to one of 6760), taking in the most amazing views of both the tent rock formations and the surrounding New Mexican landscape. One of my favorite parts of the hike, both on the way in/up and on the way back/down, was the trail leading through the slot canyons. 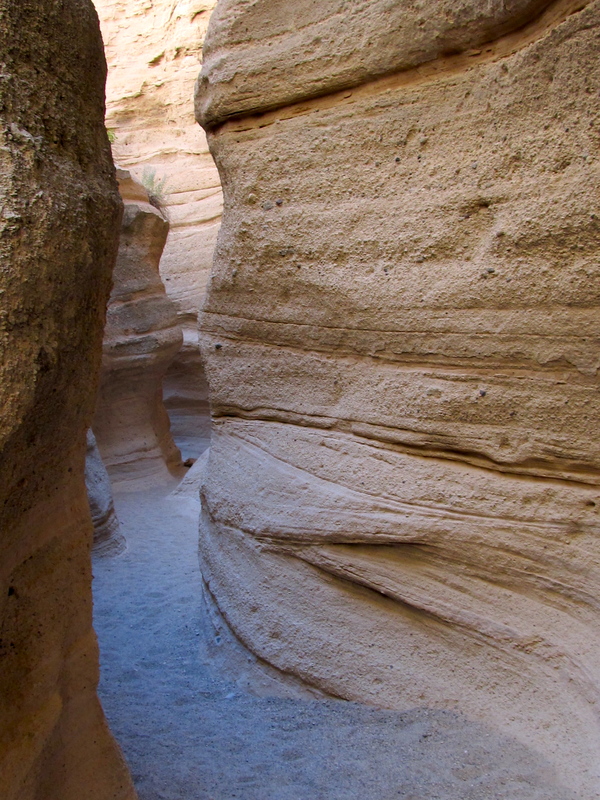 Over time, wind and rain have carved canyons and arroyos into the rock, creating passages (like the one pictured at the top of this post) of surpassing beauty. For most of the morning, we hiked through 100 degree temperatures, thin air and a burning sun. 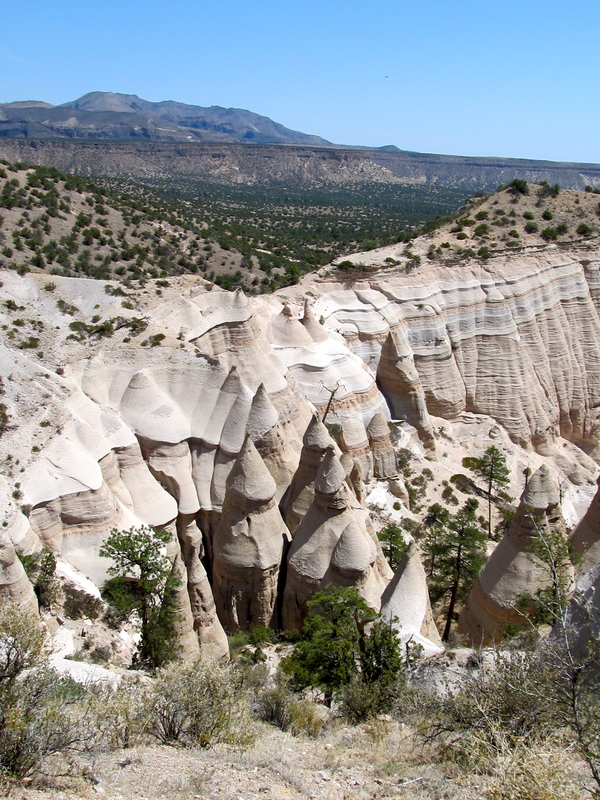 These canyons of layered rock were hushed and cool by comparison. The stillness of the canyons gave rise to contemplation. Like the rock, which was shaped by the forces of nature, we too, are shaped by the vissicitudes of life. Our choices, our experiences, who we love and how we learn – all have a role in shaping us. Therefore, it seemed especially poignant to share this experience, and these thoughts, in companionable silence with Mike. We met when I was 18, Mike 19. We were still fresh, unmarked clay. Our faces shone with, as J.D. Salinger put it when speaking of college students, “the misinformation of the ages”. Over the next few years, we shared some powerful experiences as each of us attempted to discover the direction of our lives. Eventually, though, we found that we were bound in different directions, and we parted ways. The weathers of life – births, disappointments, marriages, jobs, successes – had their way with us over the next thirty years. Molding and shaping us into mature adults, careworn and wiser (we hope). And then, surprisingly, bringing us back onto each others’ paths. 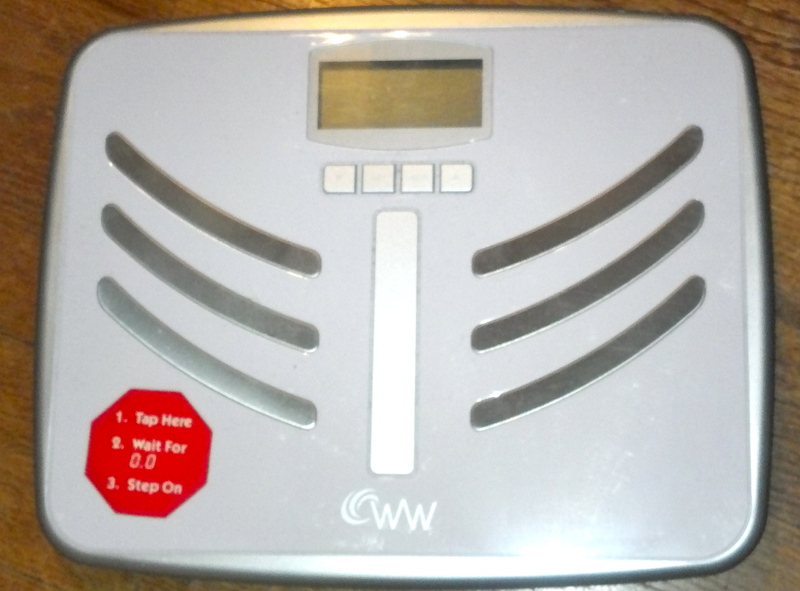 Under the extra pounds, the gray hair, the wrinkles, the familiar past could be glimpsed. Only now, the layers and textures add depth and surprise. They offer possibilities that didn’t exist in our earlier friendship: wisdom and generosity of spirit, compassion and forgiveness. Human capacities with which youth is often barely acquainted. So tonight, back home in my little house in Iowa, I am thinking of Kasha-Katuwe and the lessons it taught me. Time makes shape-shifters of us all. I am grateful for this learning. I am grateful for this earth which teaches me. And yes, Mike, lest you think I left out the most important part (again), I am grateful for your company on this path. Mike and I, at the top! Still on vacation, folks! Weigh-in NEXT Thursday. Yikes! When I was a kid, there were few things more exciting than vacation. In the Hanson household, that could only mean one thing: road trip! Load up the station wagon, roll out of bed in the middle of the night, and hit the open road! Since we generally left sometime between 3:00 and 5:00 a.m., most of the eight members of the family barely woke up enough to join in the rousing a capella rendition of “Let’s Go Fly a Kite”, which for some reason was our traditional hittin’ the road song. As the last strains died, the car grew eerily quiet, as one by one they drifted back to dreamland. These were probably my favorite hours of the trip, when just my dad (who was driving, of course) and I were awake. My seat was always right behind his, and I often sat forward, likely breathing down his neck. We didn’t talk, mostly, just kept silent company. Occasionally, one of us would see something worth mentioning. It was a treat to be with my family when they were all asleep. It was one of the few times in my childhood when they weren’t completely overwhelming. We didn’t have a lot of money, so the trips sometimes boiled down to a long drive to a distant motel that had a pool. In between, we’d check out a variety of places, most of which we couldn’t afford to enter. Imagine six kids plastered against the windows as we drove through the Wisconsin Dells, home of the kitschy tourist attraction…without stopping. We often tease my father about pulling up to museums only to look at the admission price and get back in the car. The most famous of these stories involves the Hockey Hall of Fame. The fact that we couldn’t afford to enter made the experience more memorable than if we had entered its hallowed halls…none of us even followed hockey! Then there were those moments which were unexpectedly magical. In Winnipeg, where the hotel lost our reservation and we ended up in luxurious accommodations. Or when we got lost somewhere in the Smoky Mountains and crested a rise to see the “hollers”, early morning mist clinging to the trees. In Baraboo, Wisconsin where I got to help a clown with a magic trick, under the big top of the Ringling Brothers, Barnum and Bailey Circus. Even some moments, just riding down the highway, everyone finally awake and singing. The time my sister, Gwen, had an incident with a donut and a glass of chocolate milk. Or immediately knowing Dad had gotten coke instead of pepsi at the soda fountain and arguing with him about it. I loved the family togetherness on these trips. With eight of us in the car, there was no way to spread out and “do your own thing”, though my sister Chris often tried. Looking back, I’m pretty sure it was my Mom’s version of hell on earth: the sheer din of everyone talking, whining, laughing at once. But I also developed a love for the lure of the unknown. I never knew, as a kid and a passenger, what was coming up. Everything on a road trip, therefore, was a surprise to me. As an adult, there is still no vacation – unless I’m headed to an exotic locale overseas – I like better than a road trip. I have friends who can’t bear the drive from here to Chicago (a mere four hours). I feel like I’m just getting warmed up for the road when I hit the Loop. In this day and age, when we’ve depleted our resources, it is wasteful and arrogant, I suppose, to adore (and indulge in) long drives in personal transport. I rationalize that my ten year old car only has 74,000 miles, so most of the time I am not wantonly wasteful of gas. And then I load things up, and head on out looking for the odd and unusual, something that let’s me know I’ve left home and entered the wider world. And you better believe I’m singing. I’m taking a break from the weigh in this week. I’m on vacation, and planning to relax as deeply as possible! 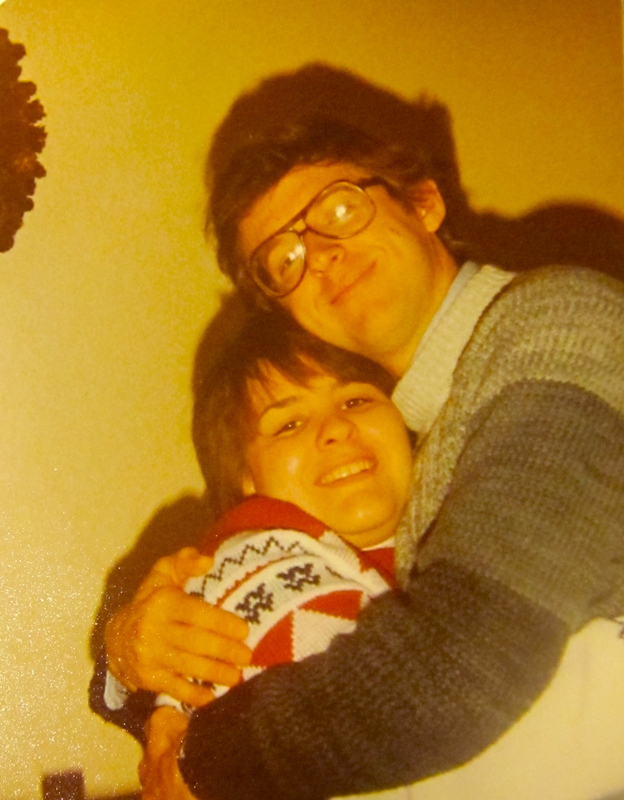 When Sue and I met, in graduate school at The University of Iowa, we kept trying to figure out how we knew one another. Eventually, we came to accept that while we had never met before, we were clearly meant to know one another in this life. We have been friends and professional colleagues for 26 years now, and the things we could share about each other…well, I’ll leave it at that! Trust is a huge part of this enduring friendship! I am truly excited to introduce you to my friend, Susan Stork! Growing up, I didn’t have much confidence in myself or my body. The reasons are immaterial at this point, but suffice it to say that I was awkward, and seemed only to reinforce that when I tried to do things that others did very naturally. As a result, I tried to avoid doing anything remotely challenging – like throwing a ball, doing a sommersault, playing dodgeball or dancing. It’s a wonder I ever learned to ride a bike! Once when I was 8 or 9 years old I was rollerskating on the sidewalk in front of our house when I hit a crack where the sidewalk had heaved up. I hit the pavement so hard it knocked the wind out of me. My dad saw it happen and ran over to pick me up. I can still remember the panic of being breathless and the shame I felt about not having seen the sidewalk crack. That lack of confidence only increased throughout my childhood. I was the uncoordinated kid who was picked last for team games at recess, and while I learned to swim, I was anything but smooth in the water. At school dances I don’t know which I feared most – not being asked to dance or being asked to dance! There were brief hints of the physical gifts I would later discover I possessed. After high school graduation, I took a trip to Rocky Mountain National Park with a friend and climbed Long’s Peak. We started in the dark of early morning (so we could be down before afternoon thunderstorms were a risk) with little more than some advice from hikers we’d met the day before, a flashlight and some water. We didn’t “summit” – altitude sickness leveled us “flatlanders” – but before we turned around we knew we had done something physically challenging in getting to around 13,000 feet in elevation. The peak is 14-something. Not bad for a couple of out-of-shape Midwestern girls whose only prep for the trip had been hours of dreaming during breaks in band practice our final semester of school! What we lacked in skill, we made up for in endurance. Miraculously, I had learned to ski in high school P.E. class at our local ski hill, and it was skiing that provided the enticement to go to college in Montana. I loved the active, outdoorsy, and athletic vibe in my environment. Maybe I hoped some of the athleticism would rub off on me…? I became a good skier during those years, but surprisingly, that didn’t bolster my confidence in my body. I continued to think of myself as clumsy, soft and weak. A few years later while in graduate school, my advisor asked me to be on the staff at a summer leadership camp. Her confidence in my academic and social skills was encouraging, but I was worried about embarrassing myself if I had to do anything too physical. When I arrived at the camp, I was asked to fill in for a last-minute staff resignation to team-teach a group of about 40 high school freshmen and sophomores for the two-week session. One of the lessons on teamwork was to be conducted on the camp’s challenge course or ropes course. This activity presents small groups of people with controlled physical challenges at a series of stations, each with a different goal and many potential solutions. The learning comes as group members identify potential solutions to the “problem”, recognize and utilize each other’s strengths and weaknesses, and encourage each other to trust that the group will respectfully support each individual’s effort and contribution to the task, regardless of the nature of that effort. Ropes course day was anticipated by campers and staff with both trepidation and excitement. I was so nervous I was unable to eat breakfast that morning. A lifetime of angst, shame, and fear about my body and its shortcomings was about to be laid bare to a group of kids, a co-teacher and the ropes course staff. I considered not going, but only briefly. I felt obligated as a leader to demonstrate my faith in the power of teams, so I went. 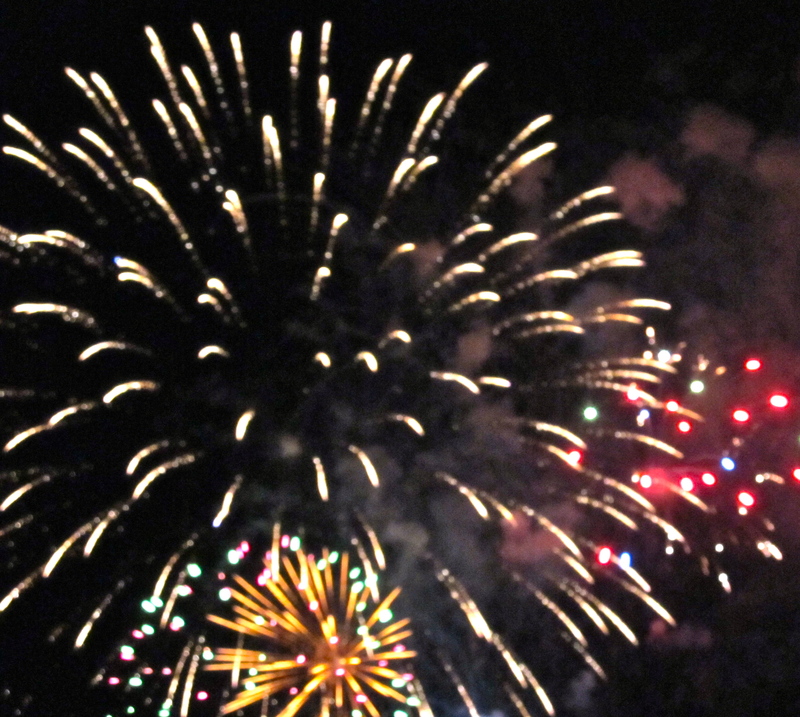 What I learned about teams and about myself that day altered my confidence in ways from which I am still reaping the benefits. I don’t remember much about that morning, except the station that required us all to cross an imaginary river full of piranhas using nothing more than a series of tires hung by ropes and suspended from a cable. The first step was to launch yourself from a platform on a knotted swinging rope, and grasp the first tire. I immediately slipped off the rope and into the “river”. The entire team goes back to the beginning when one person falls off the course. But somehow, my team supported me emotionally, got me back on that platform, and when I launched the second time, one of my teammates was there to hoist me up by the back of my pants onto my tire, while another person held his tire steady. I don’t remember getting across the “river”, but I do remember talking about what that support had felt like as we de-briefed. For the remainder of camp, whenever I was free, I was at the ropes course helping other groups through their adventures and encouraging the kids in whose eyes I recognized that familiar mix of fear and shame. By the end of the week I had shimmied through a web of ropes, balanced on a log see-saw, climbed telephone poles and fallen backwards off a platform into the arms of a bunch of kids below. On purpose. More than once. Now let me assure you, I was not a latent athlete waiting to come alive. I was, and still am, kind of awkward at a lot of physical things. I still hate dancing. I still have a rotten throw. I’m still not coordinated well for things like team sports. But I am strong and I don’t quit. I rarely back away from a physical task. I can push wheelbarrows loaded with rock, carry heavy boxes and furniture up flights of stairs, grow things, stack hay bales and step safely from a dock into a boat. I can assemble IKEA furniture, kayak two miles across a lake and back again, climb up and down a ladder all day to paint, nail shingles to a roof, and dig out old tree roots. I like to ride my bike. I like to train with weights. I am proud of what I can do with this body. I will not likely run a marathon, or dance gracefully, or golf. But that’s ok because I can help the marathon runner unpack boxes and be completely settled in her new home in one day. I can plant and grow a flowering landscape that the ballroom dancer with a brown thumb needs only to water to enjoy. And I can skillfully drive a cart so the golfer can play 18 holes despite painful arthritis. Yes, I am proud of this body. My ropes course experience happened 26 years ago. In the years since, I have led countless groups of students through challenge course activities in the name of teambuilding. I am always conscious that on that day, in that group, there is someone who feels about his or her body the way I did about mine. And I hope to catch his or her eye at some point and silently, confidently, offer the strength in my body to help them swing to that tire and grasp the power, as yet undiscovered, in her own body and mind. I have a friend from college who is on an extended vacation in Berlin. His Facebook posts paint little scenes for us, snippets of his experiences. He writes of many ghosts: in the apartment where he is staying; in the old graveyard where half the plots are tended and the other half are (mysteriously) overgrown and wild; the whispering voices of history on the Reichstag lawn at 2 a.m.
Tonight, I have my own voices from the past whispering in my ears. Today is the anniversary of the 2008 floods which swept through Cedar Rapids, the worst natural disaster in Iowa’s history. I’ll never forget it. For more than a year beforehand, my colleagues and I had worked to put together a campus crisis/disaster plan. That planning team, and our many meetings, is where some of my best friends and most valued colleagues were cultivated. And when the flood hit our town, and the plan we had created was enacted…I was hiking in the desert southwest. That day my parents and I were in the mountains visiting a chain of remote national monuments, old Spanish missions. At each stop, the ranger at the information desk would ask, “Where you folks from?”, and my Dad would say, “Albuquerque. But our daughter is visiting from Cedar Rapids.” And every single person asked, “Isn’t that where they’re having that terrible flood?” Each time, I felt my sense of panic ratchet up a notch. I was not where I needed to be. It’s interesting to look back at your own life and find those moments just before something big changes. Just before your perspective shifts, creating a new way of looking at the world around you. There were many changes to Cedar Rapids, to the lives of people who live here, brought about by the flood. I would never want to minimize the difficulties and ways people suffered. For me, though, the flood changed something deep inside: for the first time, after living here for years, I thought of Cedar Rapids as my home town. And myself as part of this community. I’ve written about perspective before (here): how hard it is to keep, how it can be regained in a moment of stunned reaction to a major life event. It is especially difficult to maintain perspective when we live cocooned in the false notion of self-reliance. When we think we are in “it” by ourselves, whether “it” is our job, raising our children, living through a serious illness, or simply trying to get through the day. The truth, hard as it is to hang on to when we feel alone, is that we are not alone. This sense of being part of a community has only grown in me over the years since the flood. I didn’t suddenly start seeing Cedar Rapids as my dream city, or the only place I could ever live. However, I’ve come to understand that community transcends place, while it is also grounded in a place. We call that place “home”.